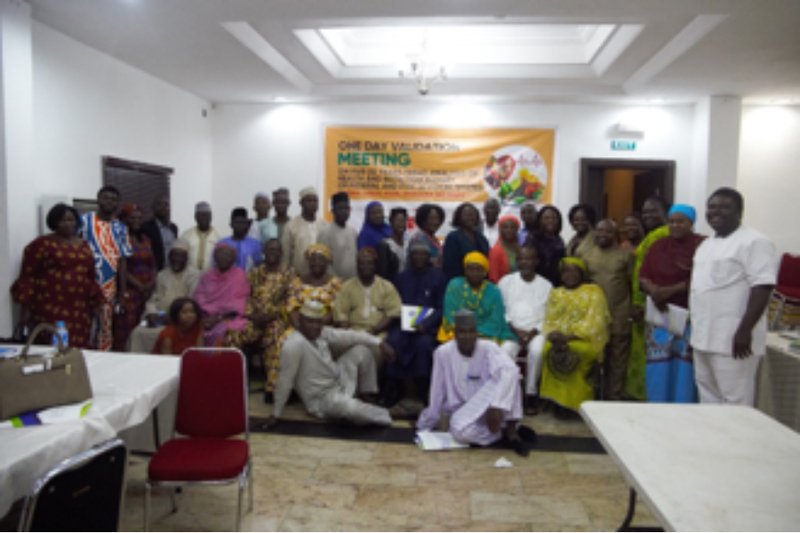 CS-SUNN HOLDS VALIDATION MEETING ON FIVE YEARS TREND ANALYSIS OF HEALTH AND NUTRITION BUDGET OF FEDERAL AND FIVE STATES; By Lilian Ajah-mong. The validation meeting on 5 years trend analysis of health and nutrition budget was held on the 24th of August 2018 in Abuja. The aim of the meeting was to review and validate the health and nutrition budget allocations, releases and utilization with focus on five (5) PINNS state and the Federal over a five-year period of 2014 to 2018. In his welcome remarks, CS-SUNN Steering Committee Chairman, Dr. David Olayemi emphasized that if there must be a change in the nutrition status of Nigerians, the issue must be approached holistically. He added that the meeting was a self-critique platform to clearly understand what each state and Federal has done well and improve on what is yet to be done well, especially effecting the improvements into the 2018/2019 budget. 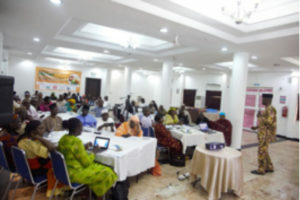 Presentations were made on the Overview of the PINNS Project by Sunday Okoronkwo CS-SUNN’s Project Manager, Overview of SCI Nutrition Advocacy Project by Seyi Abejide of Save the Children, Maternity Protection in the Workplace by Toyin Adewale-Gabriel of Alive and Thrive and an Overview of Nutrition Situation in Nigeria by Dr Chris Isokpunwu, Head of Nutrition- FMOH. Speaking on the draft document on annual health and nutrition budget analysis/performance for 5 years (2014-2018) the consultant, Mr Atiku Samuel presented an infographic on the trend analysis of health and nutrition budget in Nigeria basically for federal and the five focal states for a period of five years. The document captured 2018 Federal Government approved budget, the budgetary allocation for the health sector, nutrition specific and nutrition sensitive allocation with their breakdowns. He also showed the budgetary allocation for the five focal states showing their approved budget, actual spending ad budget performance. In addition, he analyzed comparatively the rates of the focus state in respect to stunting, wasting and underweight for the year 2017. The draft document on health and nutrition budget allocations, releases and utilization with focus on five (5) PINNS state and the Federal over a five-year period of 2014 to 2018 was reviewed by participants across the state chapters. Resolutions reached at the end of the meeting were for Federal and States to submit inputs into the analysis and for States Budget and Planning and SNOs to identify gaps of budget focal officers from nutrition related MDAs.